Why do knowingly act in ways that undermine our own wellbeing, like loving the wrong person or staying in an unfulfilling job? Why are ideologies so compelling? Why are we so convinced that our own, deeply held views are irrefutable? The Logic of Self-Destruction argues that our emotions are at the heart of our problems, and that if we can see the human brain for what it really is – a robustly logical, computing device, we can finally understand how we manipulate those emotions and end up confusing ourselves. 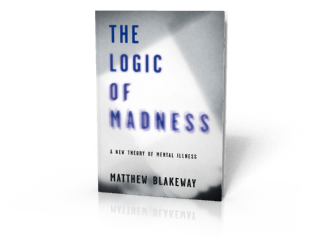 Matthew Blakeway’s engaging multidisciplinary argument applies a logician’s rigour to genetics, linguistics, socio-biology and evolutionary psychology, to investigate the unique human ability to affect and suppress emotional behaviour. In showing how everything from the British stiff-upper-lip to abusive relationships, from the rise of fundamentalist regimes to the failure of economies, stem from this problem, he provides new tools for understanding our motivations and shaping our futures. In The Logic of Self-Destruction, Matthew Blakeway takes the reader on a fascinating journey through the logic of human behaviour. He uses a series of thought experiments based in everyday situations to reveal how we manipulate our emotions tactically as individuals, social tribes and societies and explores the consequences of this. He challenges the assumption that happiness is an innate, instinctive human emotion and demonstrates what mystical higher states of being have in common with art appreciation. He investigates the suppression of emotional behaviour in groups to explain how humiliation on the parade ground turns a soldier into a killer, and how totalitarian regimes are perpetuated. He reveals why ideology is more powerful than scientific evidence, and explains why climate change denial and even genocide can be explained rationally.